You need to install the .NET Framework (2.0 at least), PowerShell 1.0 and the VMware VI Toolkit. All are freely available. 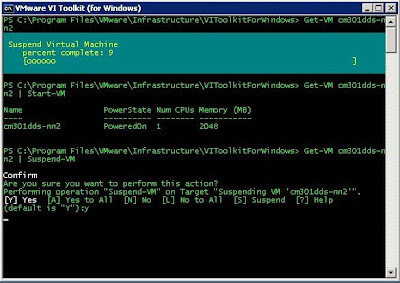 Get-VICommand to list available cmdlets and read the VI Toolkit Cmdlets Reference for documentation.